One of the joys of life is celebrating special occasions with the people we love. 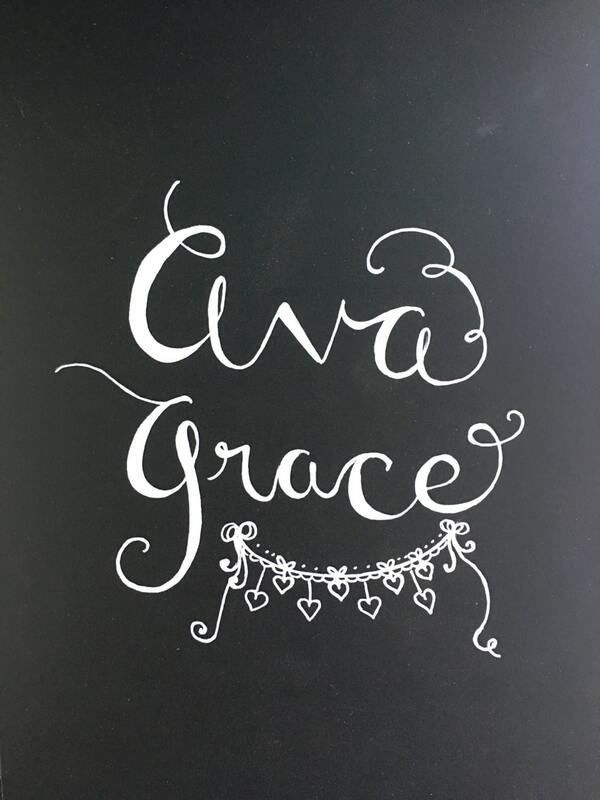 This custom hand-lettered chalkboard paper art print is suitable for framing and will make a great and thoughtful gift for someone celebrating a special event. For weddings, anniversary celebrations, the birth of a new baby or just to say you love someone, these prints are custom made for you. You pick the wording and I will make it beautiful for you to display. Give a wedding or shower gift that will be cherished by the newly married couple or anyone celebrating an anniversary, birthday or other special occasion. 🌿 This listing is for the custom handmade print only. It especially looks striking in a white frame. 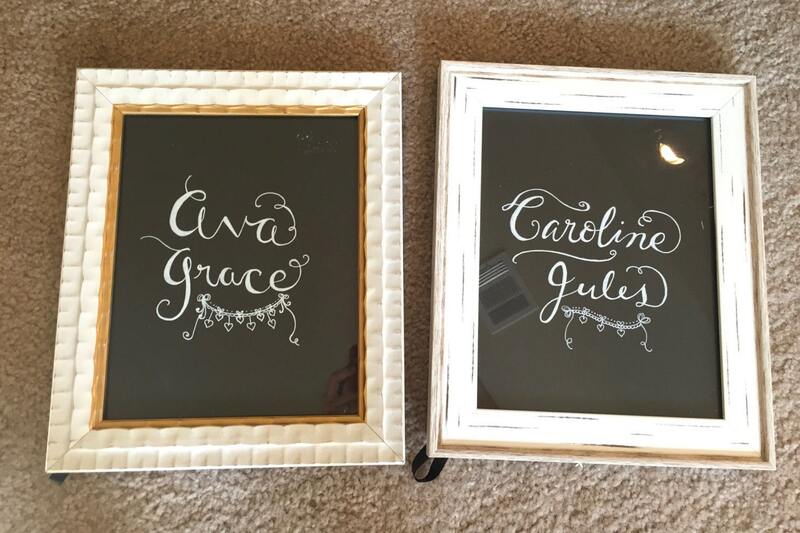 (If you would like me to choose a frame for you, message me and I will create a custom listing just for you with a frame of my choosing that will compliment your custom design (frame is an additional cost). 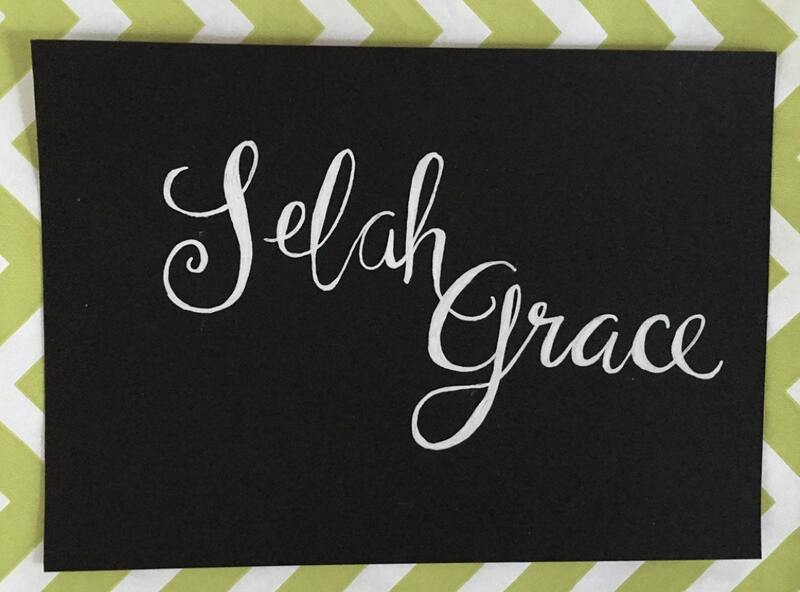 This custom calligraphy print is handwritten just for you on either 8"x10" or 5"x7" heavyweight chalkboard stock paper in permanent chalk pen and is suitable for framing. This handmade print will be created just as you request it and it will be packaged carefully in a cellophane sleeve to protect it's delivery to you. PLEASE NOTE: Due to the custom nature of these designs, there may be slight variations in each print, but they will be closely represented as shown in the listing. 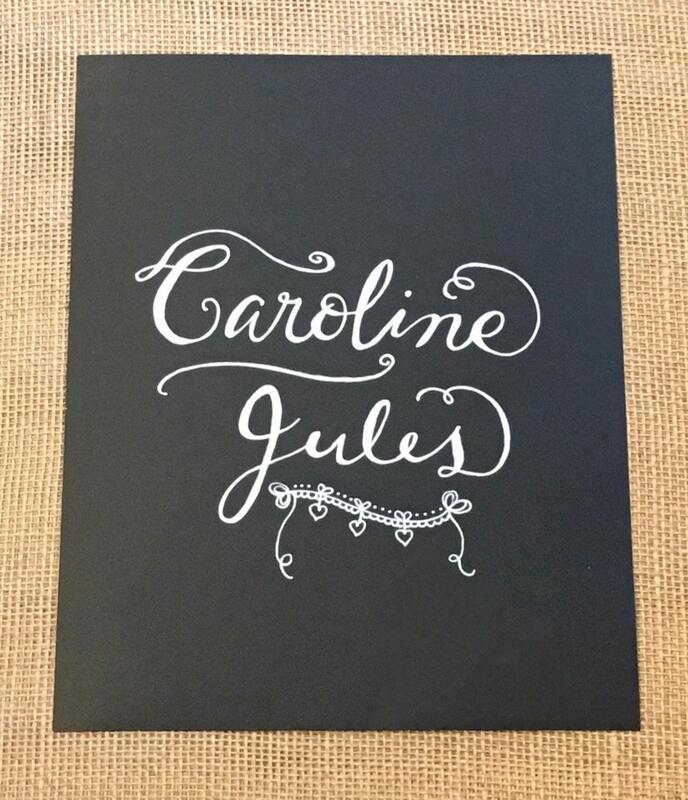 🌿 WHEN WILL YOU RECEIVE YOUR CUSTOM HANDLETTERED PRINT? Please allow 1-2 weeks for creation of the design and delivery to you. If you have a special request or need your print earlier, please let me know and I will do my best to get it to you as quickly as possible. 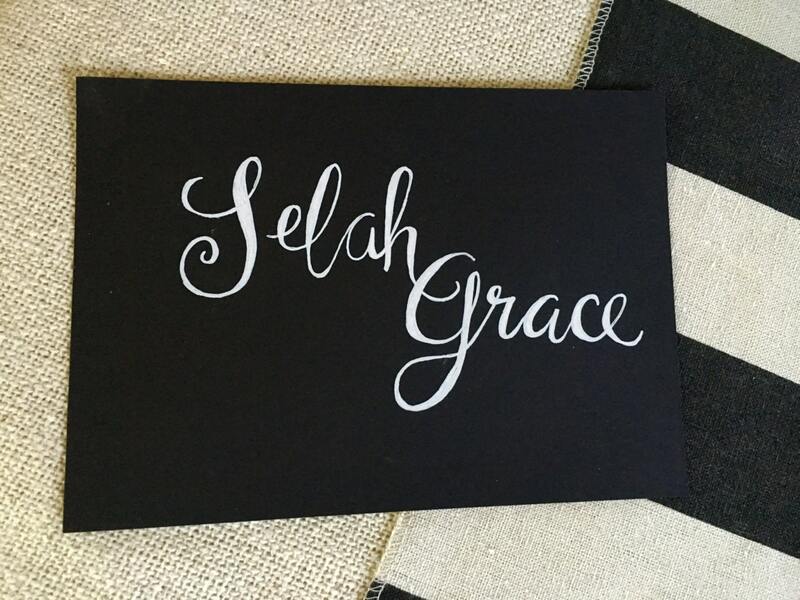 Your chalkboard paper calligraphy or hand drawn art print will be shipped to you in a cellophane protective sleeve in a rigid mailing envelope to ensure safe delivery to you. I will do my best be sure your custom order is packaged so it will arrive in perfect condition. Unfortunately, I cannot be responsible for damage to the package as a result of improper handling by the postal carrier or service. I look forward to creating something special just for you! Have a blessed day!